How are you? It's officially summer time and I know we are now focusing on keeping our kids busy and thinking of different summer classes for them. Meg started her swimming class this morning. Yes I enrolled her with her cousin. 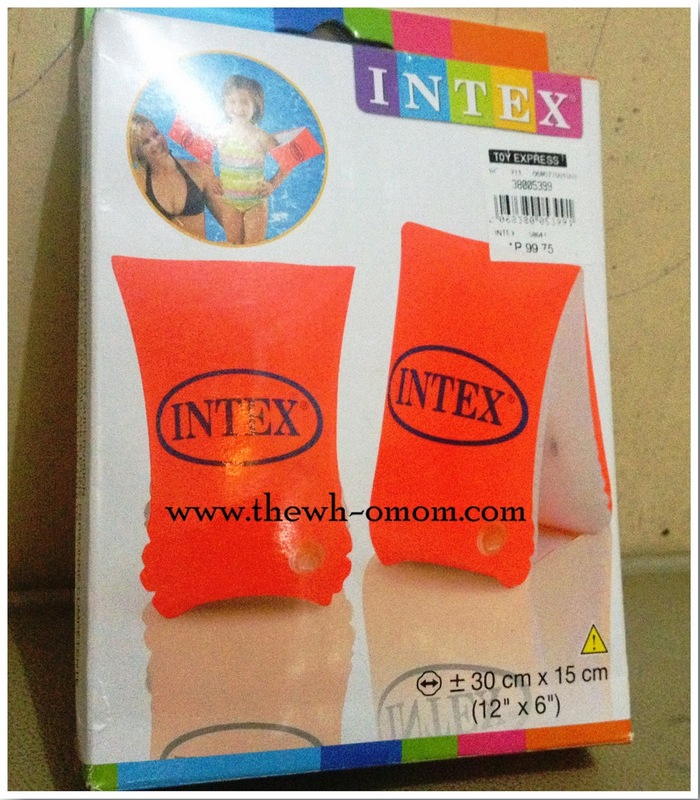 Let me give you an idea on the things you need for swimming class (if ever you decide to enroll your kids). 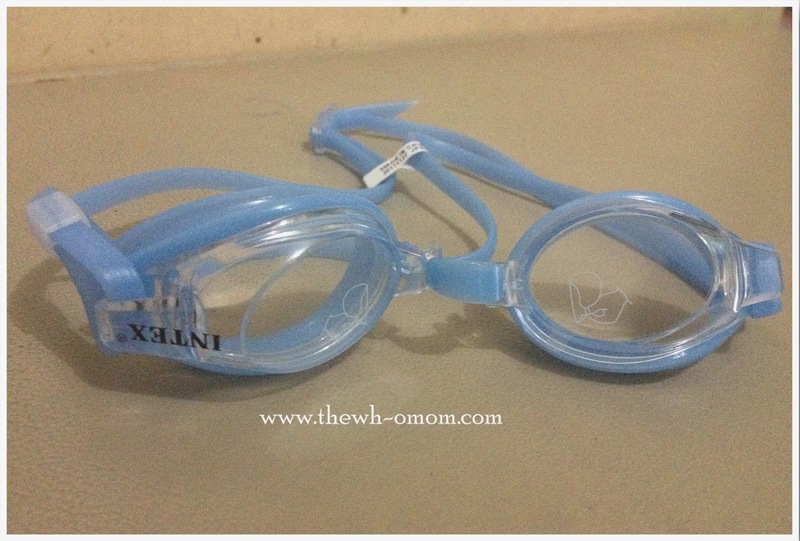 Their coach advise us to buy swim cap, goggles, arm bands, and of course swimwear. 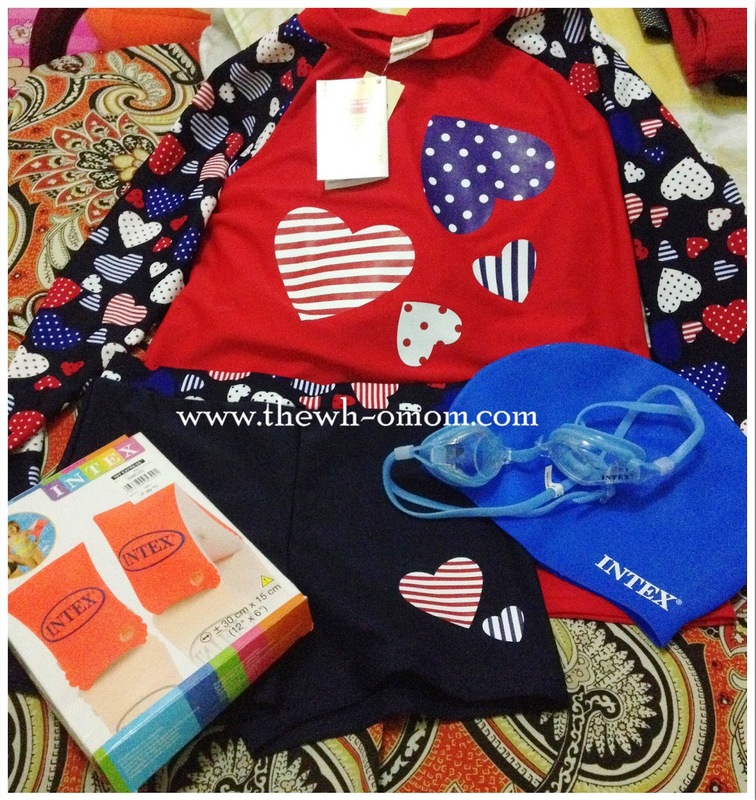 We bought everything at SM Store; the swimming accessories at the Toy Express section. They didn't actually use the accessories this morning but my nephew Kieran since he is in the toddler class, should be in complete gear. Meg is in level 2 already although this is her first swimming class. She's like super scared when the coaches guided her but she did well. Meg is kind of sensitive when it comes to putting water on her face so the activity of blowing bubbles in the water is a major achievement. She submerged her face and blew bubbles out of her nose. 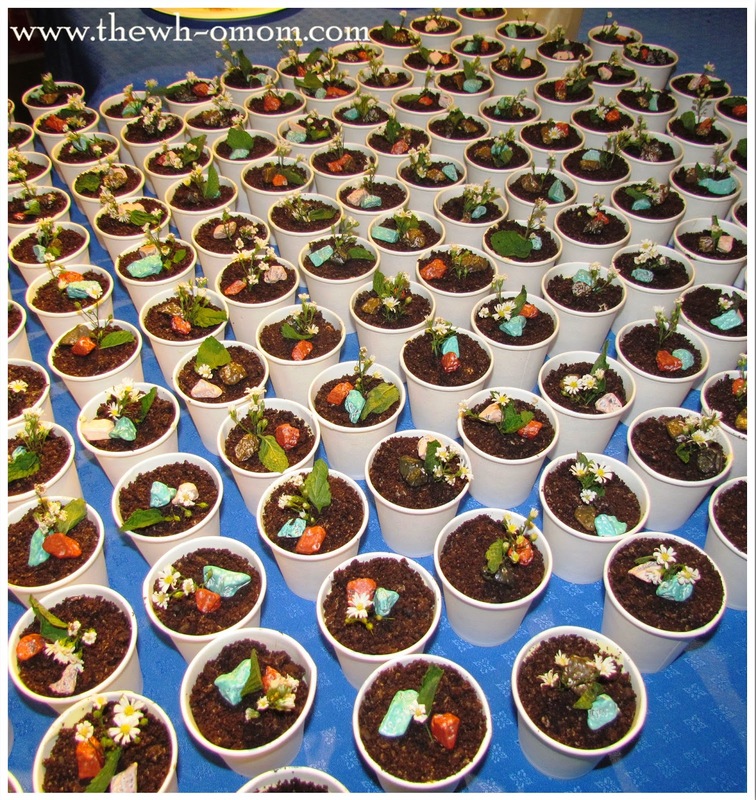 This activity will teach them how to control their breathing. 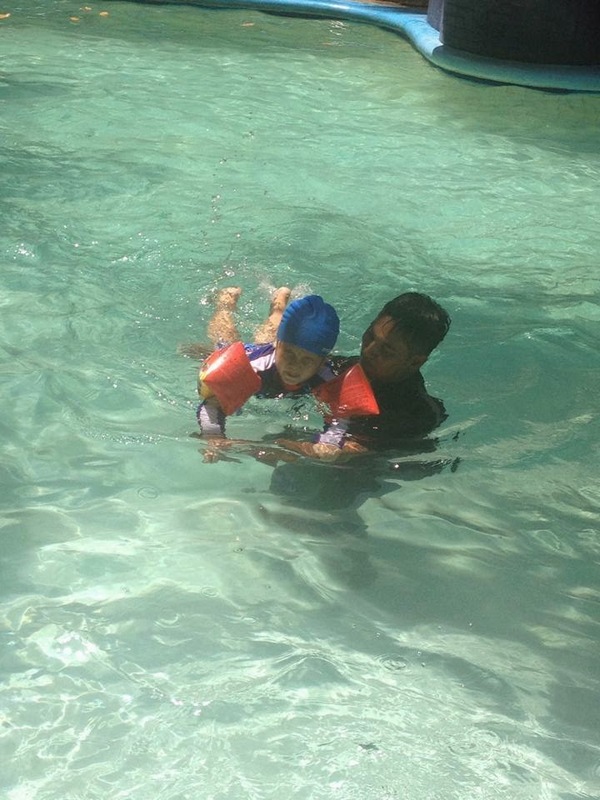 She also managed to walk at the middle of the pool (chest deep) with the guidance of her coach. 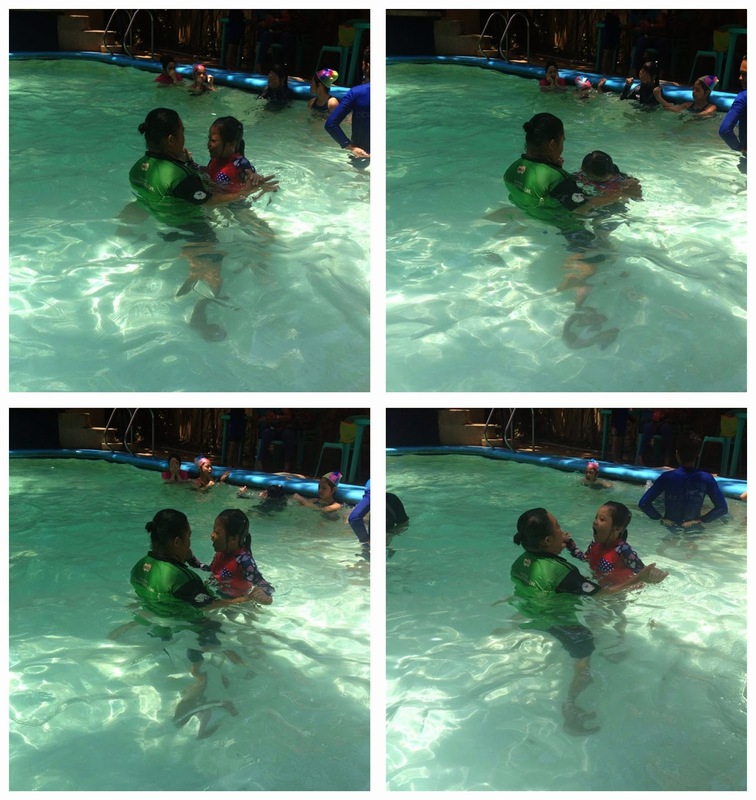 She's the youngest in her batch so the coach told me she will make it a one-on-one session for her since her batch mates were like doing freestyle already. I thought she'll be afraid and won't come back but she told me she wants to learn more. Well, not bad for the first day right? 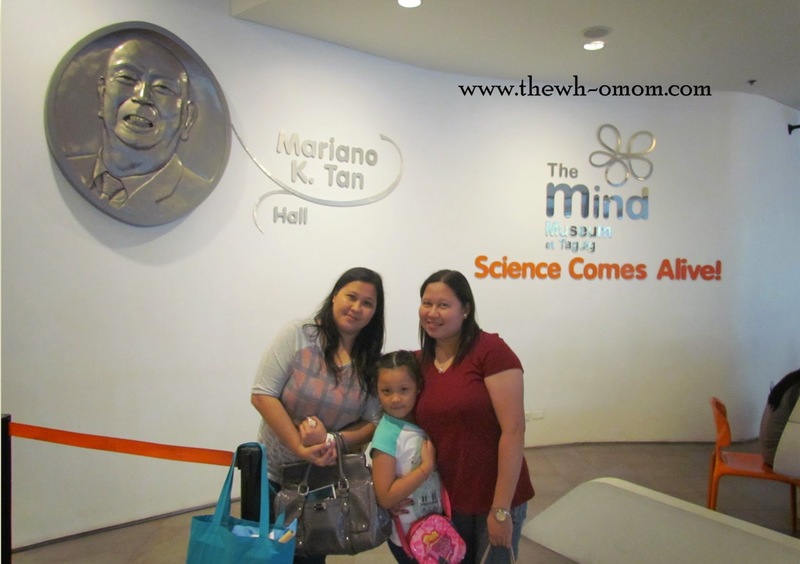 Last Saturday, March 22, 2014, The Mind Museum celebrated its second year anniversary with a Media Family day. 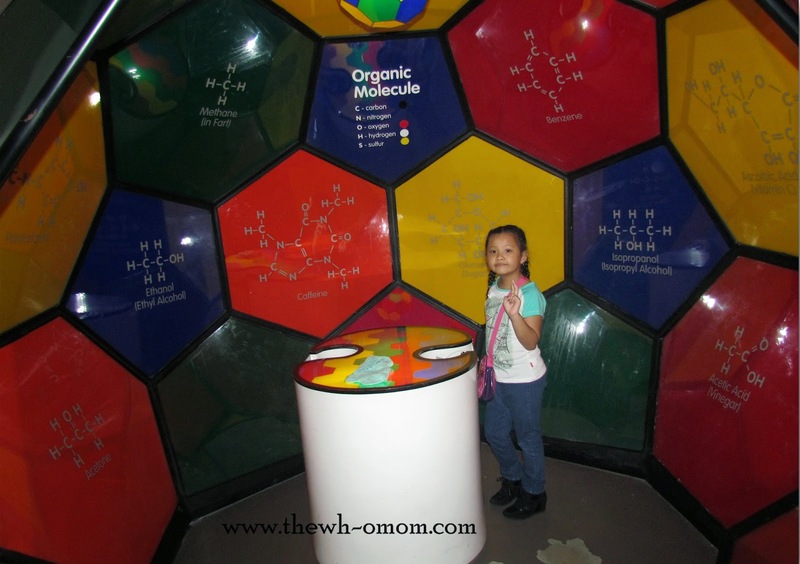 They invited us with our families to wander, explore, and interact in the world of Science through the museum's different galleries, their new exhibits, and the educational programs they will offer this summer. To say that my little lady was excited would be an understatement. She was very curious on what's inside the museum and was asking me if she could enter the gallery right away. 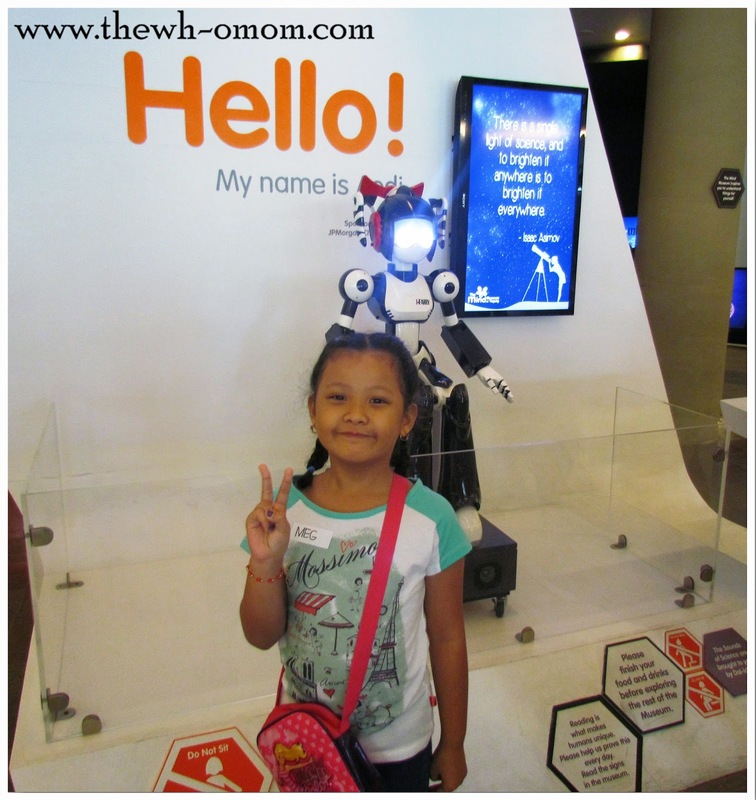 Upon registration, Aedi welcomed us at the museum's entrance. We then proceeded to the hall but before the program started, we were pleased by the food choices and its good taste. We tried Kyle's Lab (https://www.facebook.com/kyleslabph) first and his tuna and egg, Pesto Cheese, and cheese pimiento shaped-sandwiches with octopus shaped hotdog. The Iced Tea with Popping Spheres is a super hit to us. Meg had fun feeling the sago-like ball pop inside her mouth. The dessert tiramisu pot is so good and got the little lady very curious because it really looks like a plant. Good job Kyle! Uncle Cheffy also served us with their different pizza flavors and nachos. Sophie's Mom delighted our taste buds with sweetness of the cookies, cake pops, and the super moist red velvet cake; and Sebastian's made the little lady very happy with her cookies and cream ice cream. While enjoying our food, the program started with the interview of Manuel Blas II (Managing Director) and Maria Isabel Garcia (Curator) of the Mind Museum as they talk about the pride that the museum was designed by Filipinos for Filipinos. 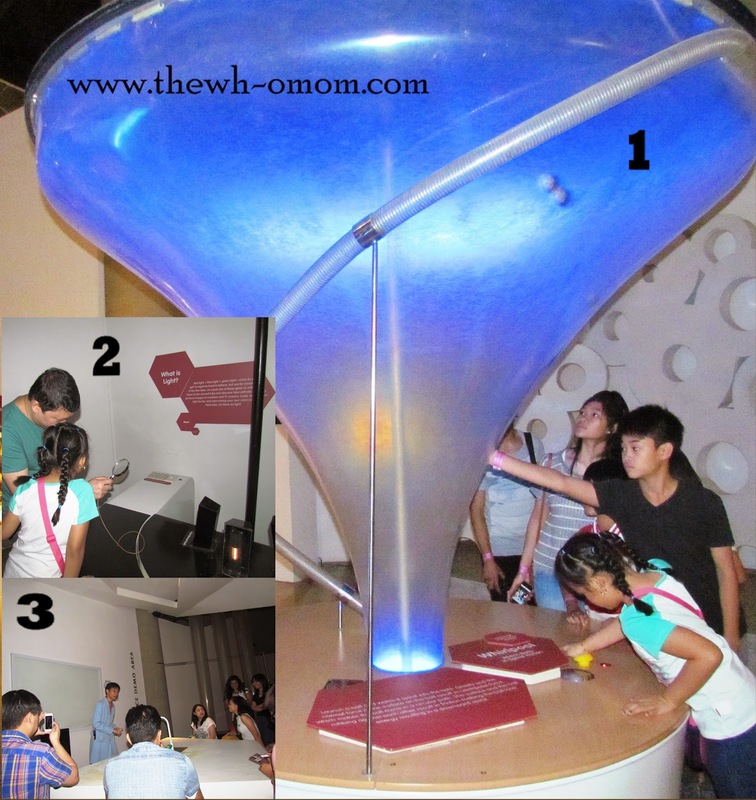 The purpose of the museum is to increase understanding of science not only for kids but also for adults. 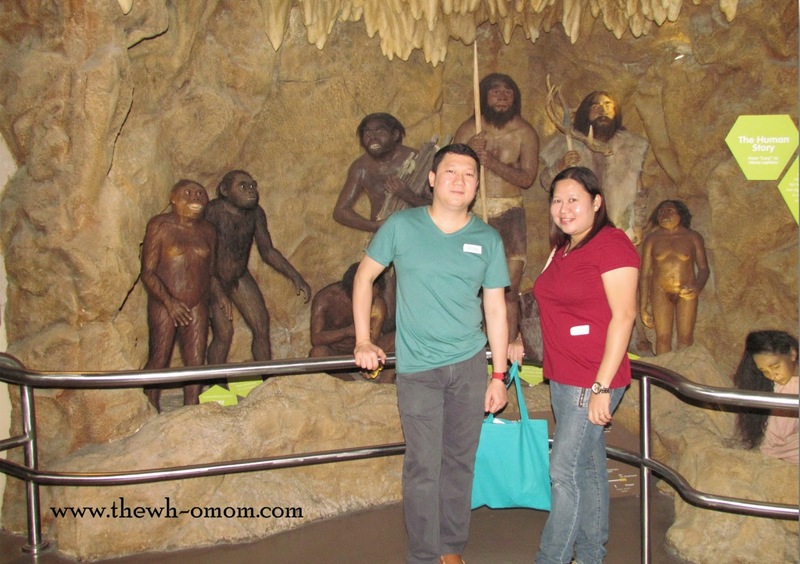 After satisfying our stomachs, we were advised to start our Wide-Eyed Wanderer's Exploration. Each family was given passports to be stamped in each quest. It's like Amazing race! Let me take you through the adventure that the little lady enjoyed. 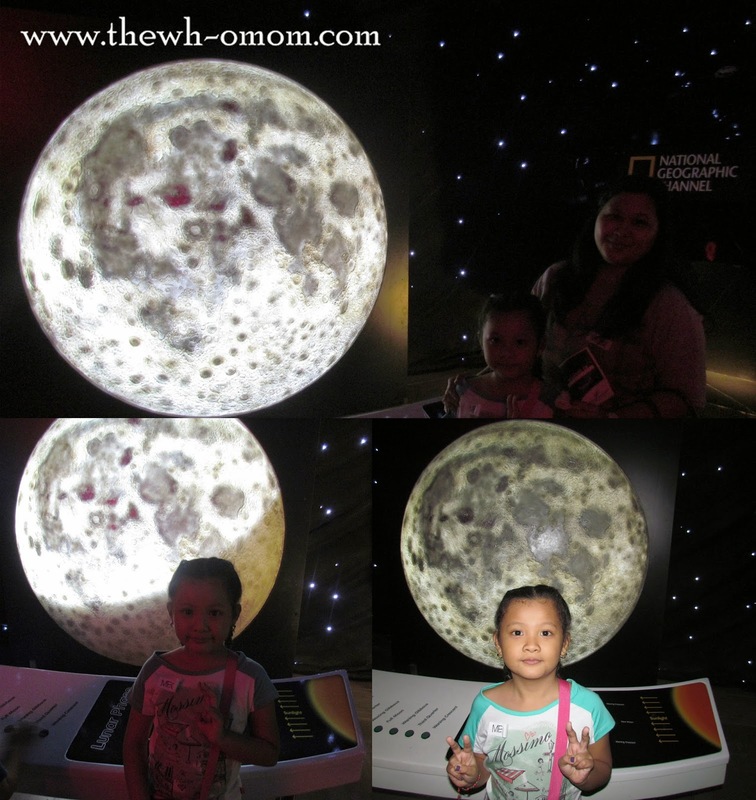 We started exploring at the Universe gallery. 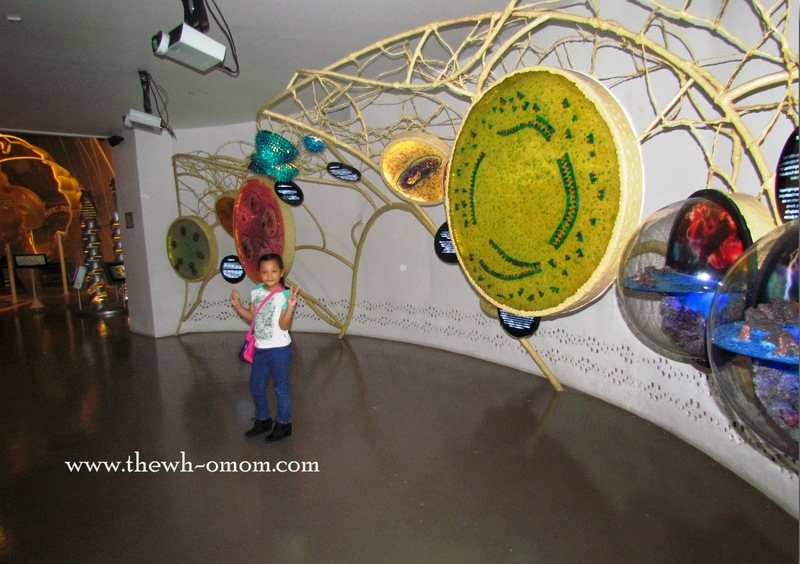 Meg was amazed with all the exhibits she saw. I was surprised at first because I thought she would get bored seeing unfamiliar things. It's a good thing though, that she started asking questions and took an interest to learn about it. 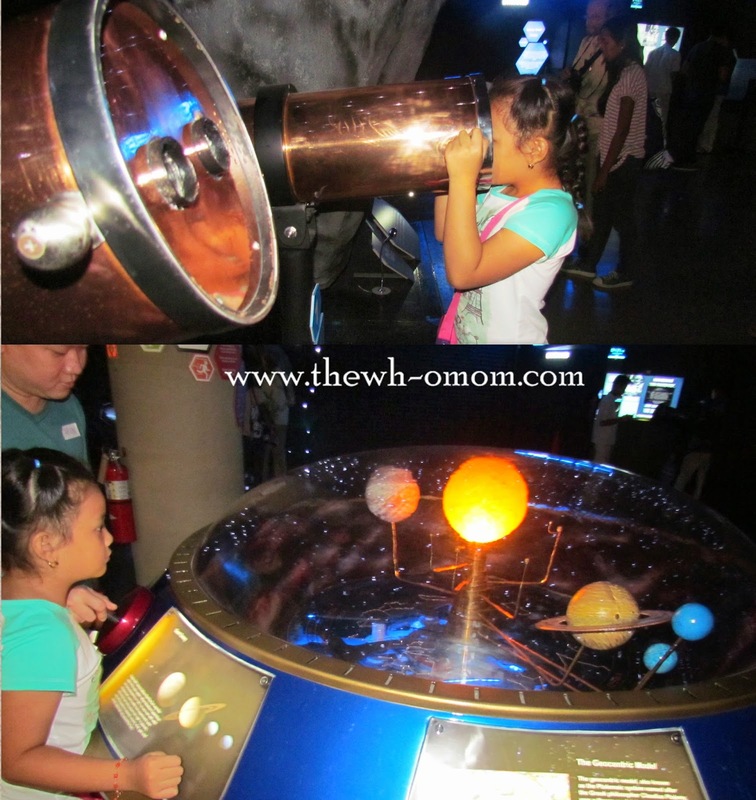 Meg looking at the telescope and Kuya discussed all about orbit and rotation. Meg got really scared passing through the tunnel craft (see picture above). Well, I got a little dizzy too hehe. This connects the Universe Gallery and the Earth Gallery. The rotating tunnel simulates the travel between outer space and earth featuring images from the Hubble telescope. 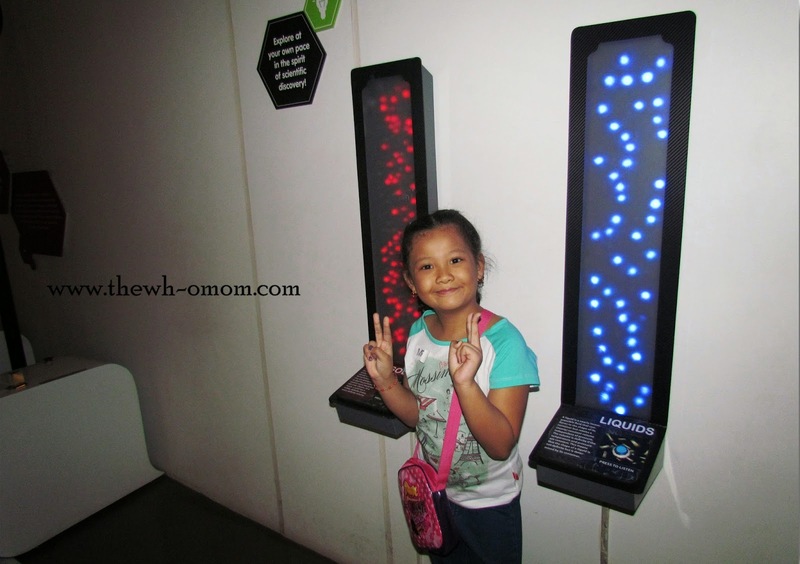 We proceeded to the Life Gallery wherein we had to play a mini-game. Using the mini microscope with UV light, we should be able to see the hidden message in the different objects (rocks, minerals, paper). 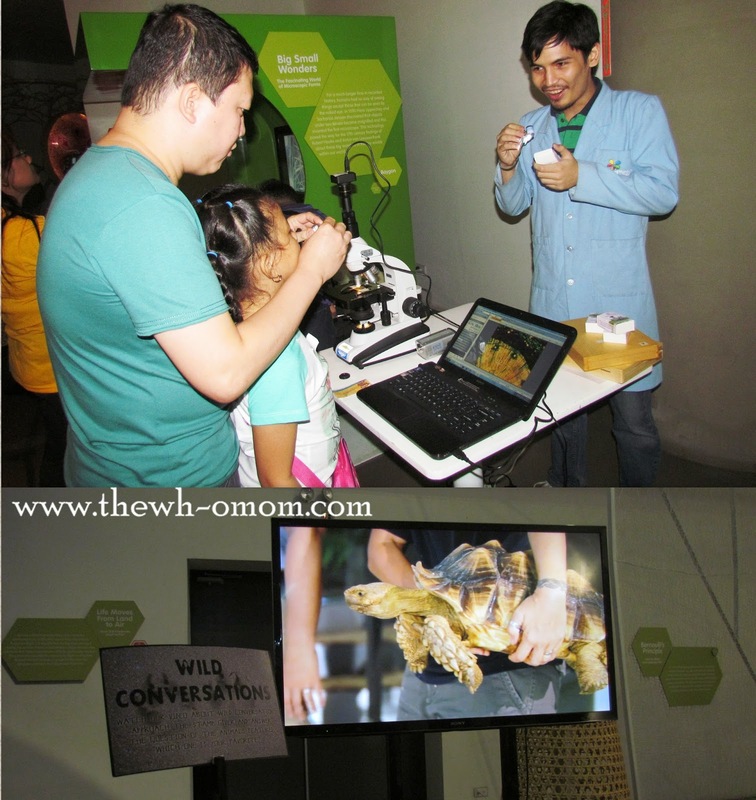 The second activity was to watch the Wild Conversations and answer which animal is your favorite. Meg answered tortoise! 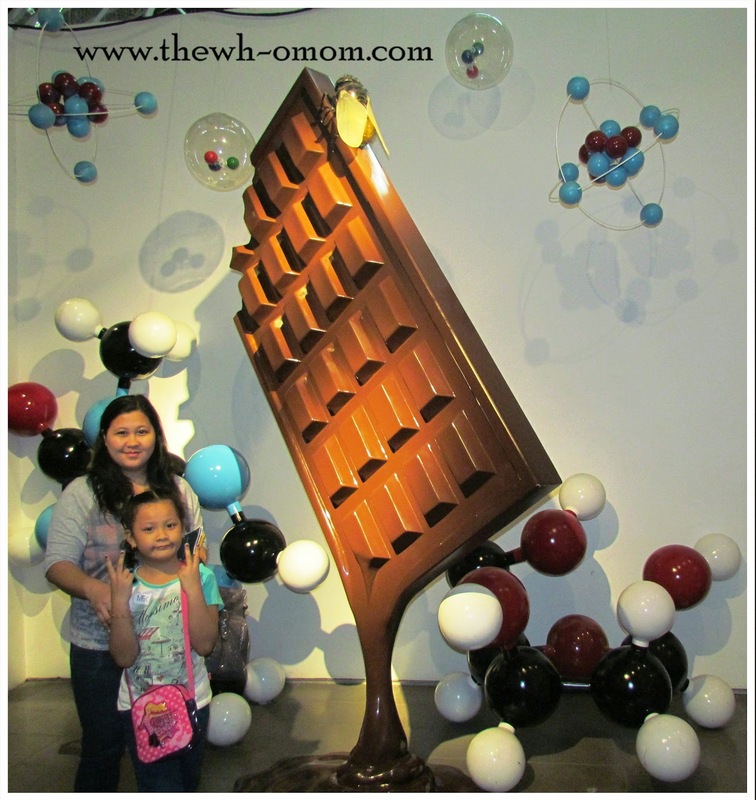 The big bar of chocolate and its Molecular structure. 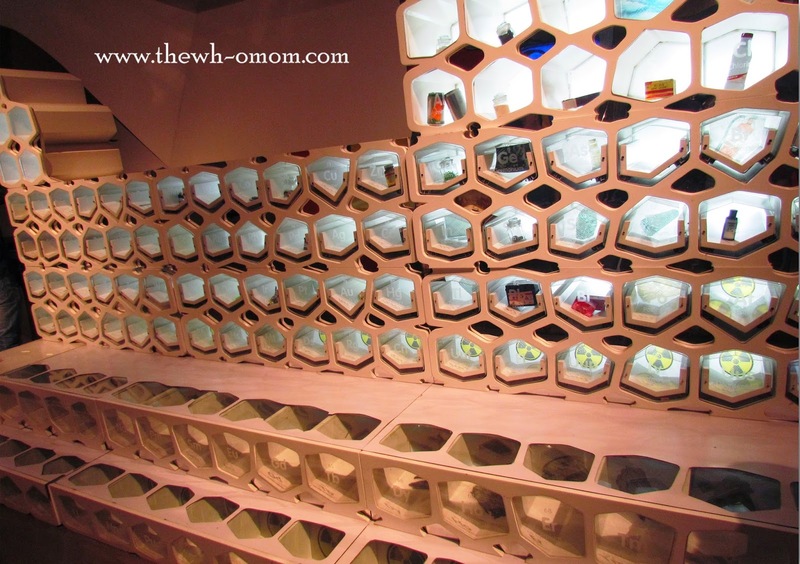 This exhibit is very eye-catching not only of its size but because it's chocolate! Kids will be curious on what it is and what the interconnected balls are. 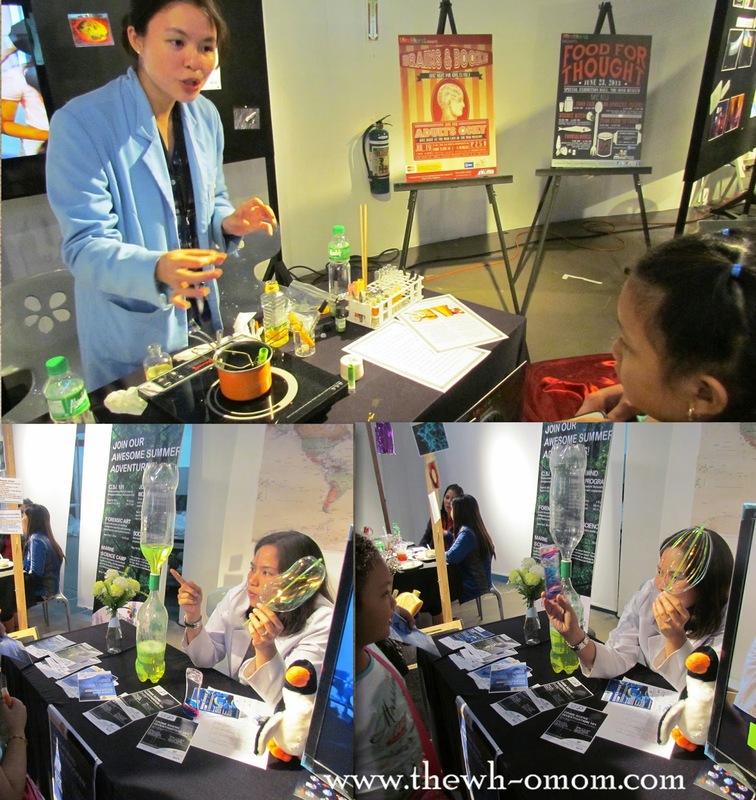 There are 7 Exhibition at the hall but we only tried the Beauty Lab (on how to make lip balm) and the Junior Mind Movers (preview of the Mind Museum's summer programs). 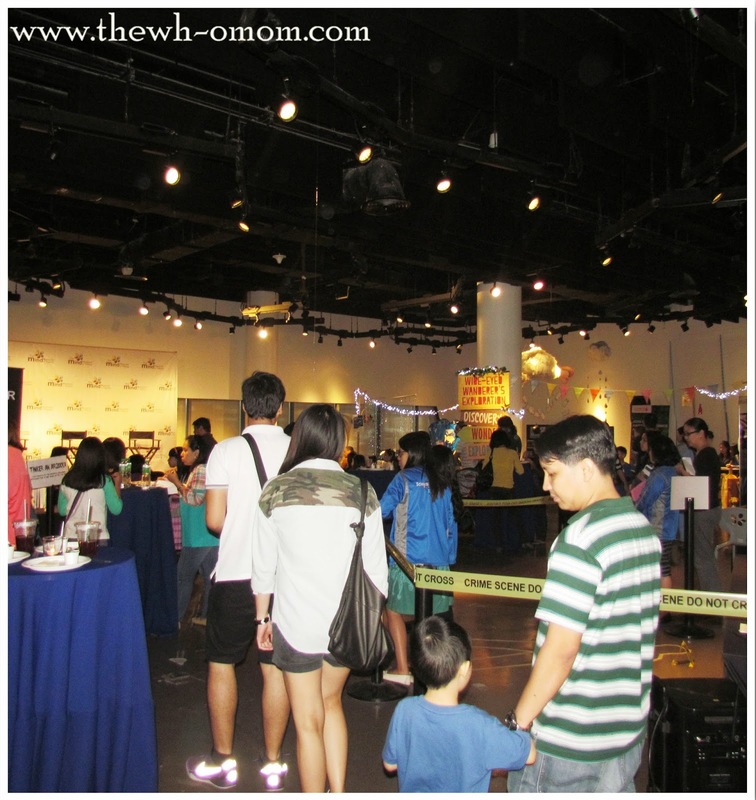 We didn't win but we were able to explore the rest of the museum's exhibits. Finally, we met Stan the T-Rex. 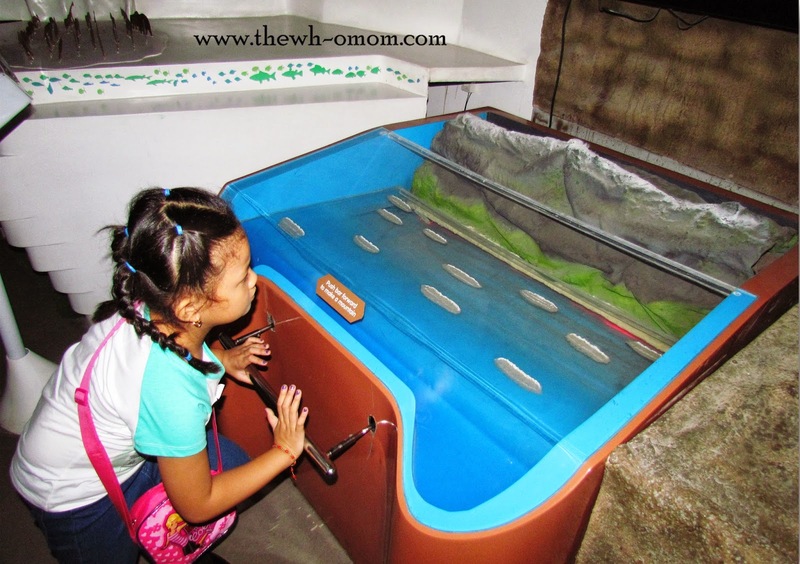 This one was one exhibit that Meg recognized because they already studied about it at school. I explained it further and she truly understood the behavior of particles in Solid, Liquid, and Gas. 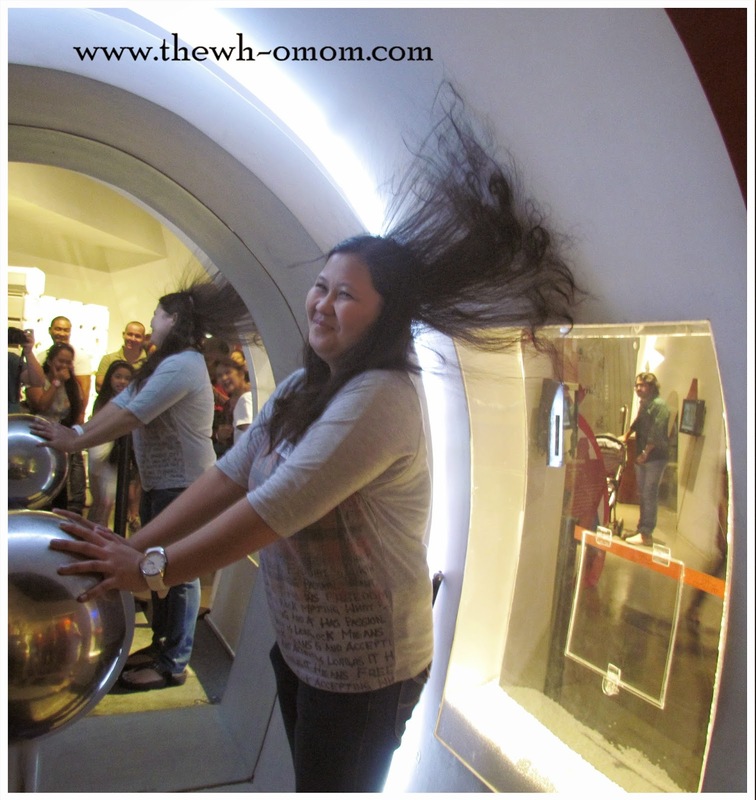 This exhibit explained Newton's Third Law of Motion - For every action, there is an equal and opposite reaction. 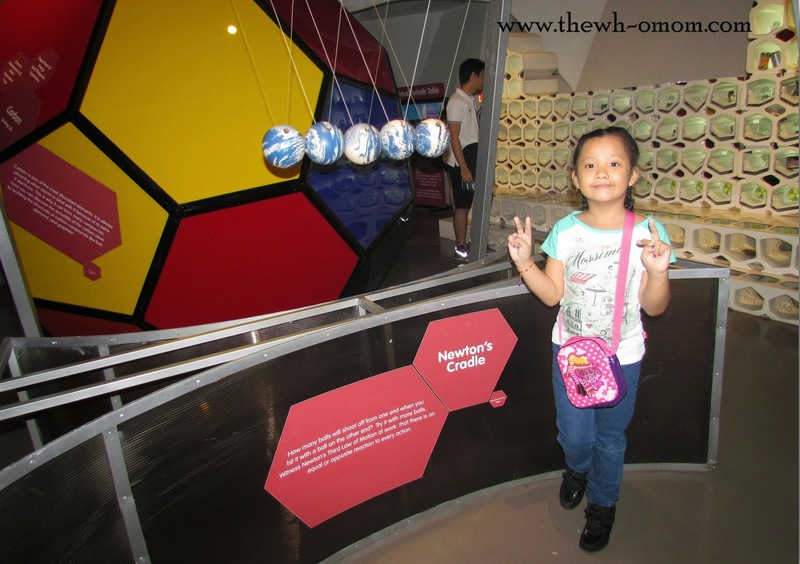 Meg inside the "bucky ball"
"The Mind Museum inspires you to understand things for yourself." 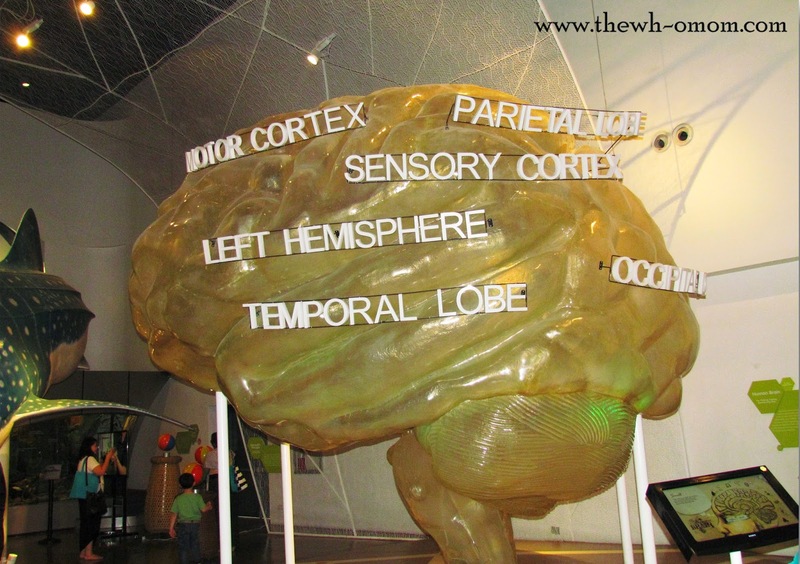 The Mind Museum is a great place for children and adults to enjoy and learn at the same time. 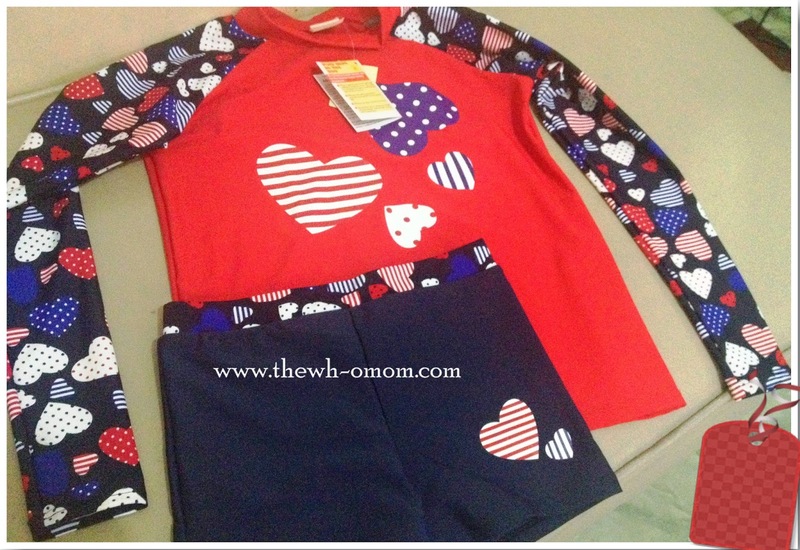 Everything inside will get your kids' attention and will interest them. Bring your kids here dearies! 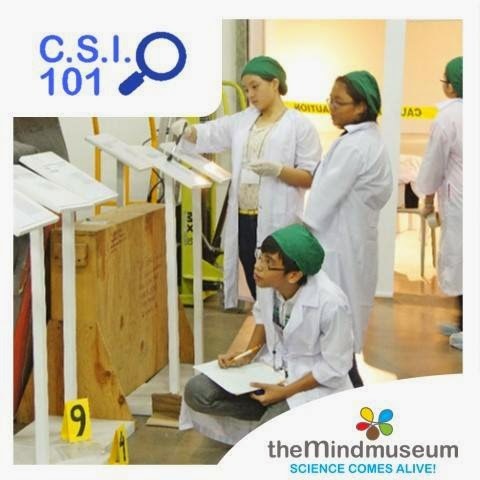 Check the awesome programs they will offer this summer The Mind Museum Summer 2014 Programs . I remember Meg had focus issues especially when she started schooling. She would do great with the lessons at home but a different thing at school. She was easily distracted by her classmates' noise and won't be able to focus with the activities. She would lose her school things most of the time. Adding up to my worries when she entered big school are: Would she be able to communicate confidently? How will she behave socially with her classmates? Yes I'm one paranoid Mom. 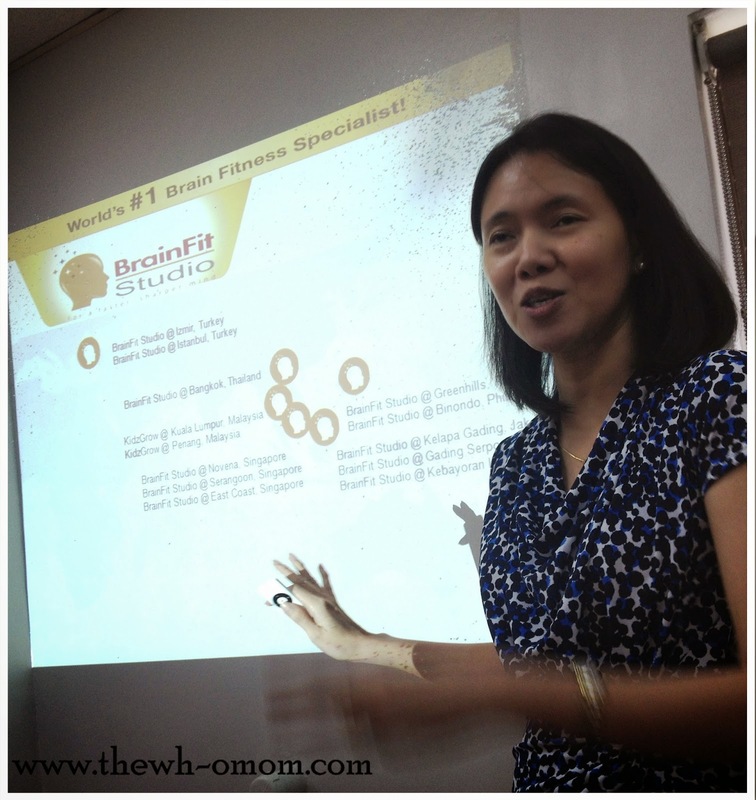 Last March 20, 2014, I was invited to the BrainFit studio for a tour. 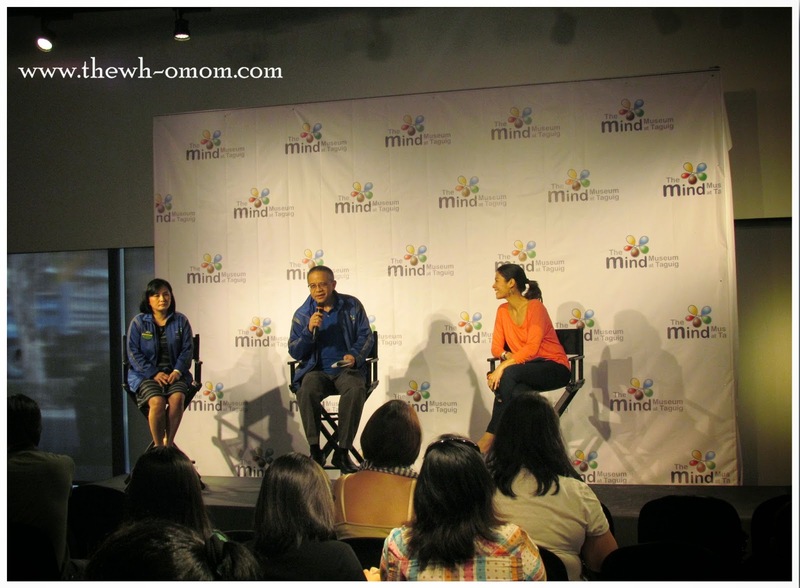 BrainFit Studio started in Singapore and expanded across different countries in Southeast Asia including the Philippines. 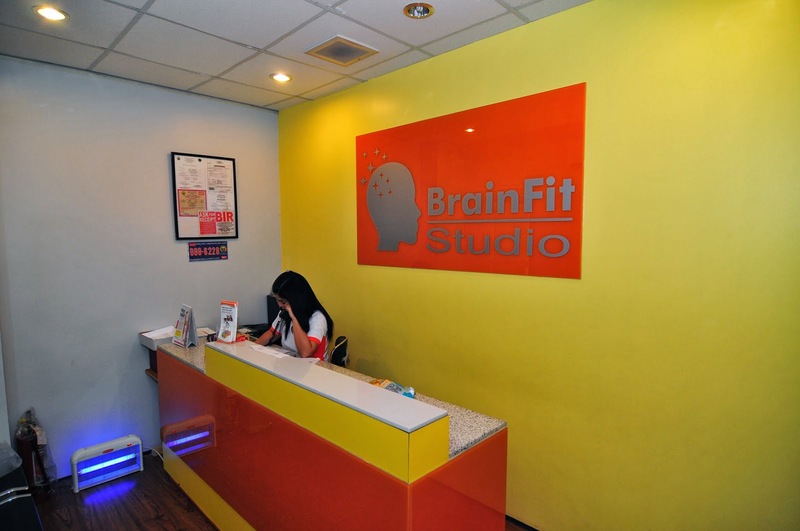 Currently, BrainFit Studio Philippines has two centers - Greenhills and Binondo; and another center in Makati is opening on April 1, 2014. In analogy, we need to exercise the different parts of the body to be physically fit. Same with the brain, we need to enhance the different parts with appropriate activities to make it fit. This is how the BrainFit studio works. It is not just another academic center wherein your kids will have drills or worksheets but instead, their programs will target the 5 Brain Pillars that form the foundation for all learning. What are the 5 Brain Pillars? Going back to our tour, there are 5 programs in the BrainFit studio. 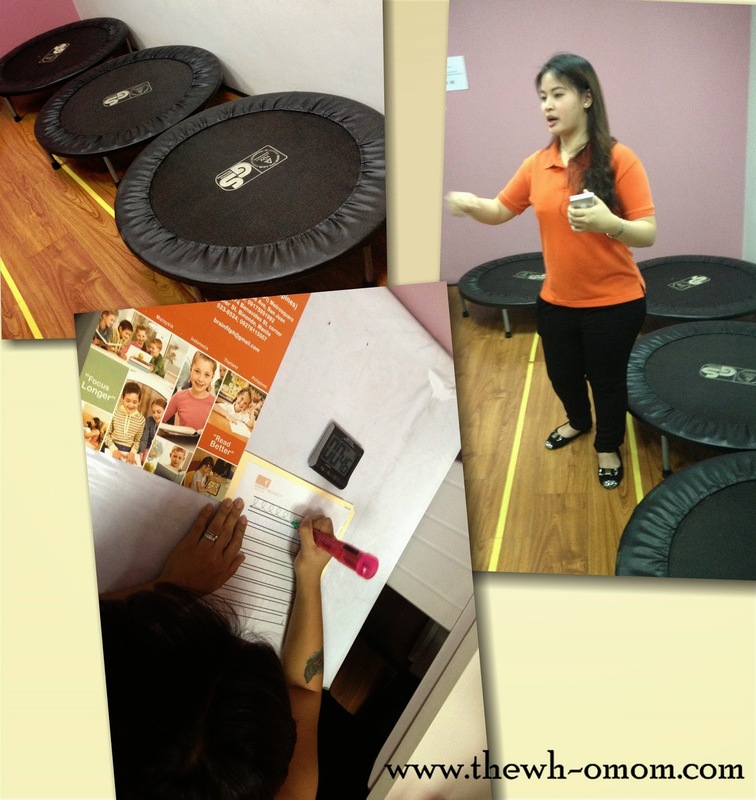 SENSORY MOTOR - SMART Moves™ aims to strengthen the child's Sensory-Motor brain pillars using a gym-based program that will enhance the Gross Motor skills and Fine Motor skills. Those are trampoline. The kids will jump on the trampoline but they would follow a certain beat so they should focus on what they hear to be able to do the activity correctly. Also, they will practice their motor skills in holding a pen and writing using a vibrating pen. It's kind of hard ha. But imagine if they will be able to write perfect curves using the vibrating pen, how much more when they use an ordinary pen? 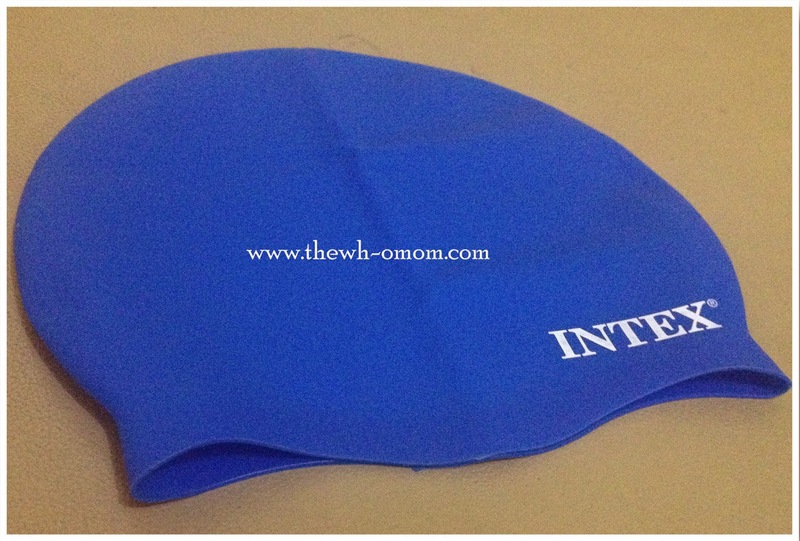 VISION - SMART Vision™ aims to improve the child's Visual brain pillar series of movement activities. 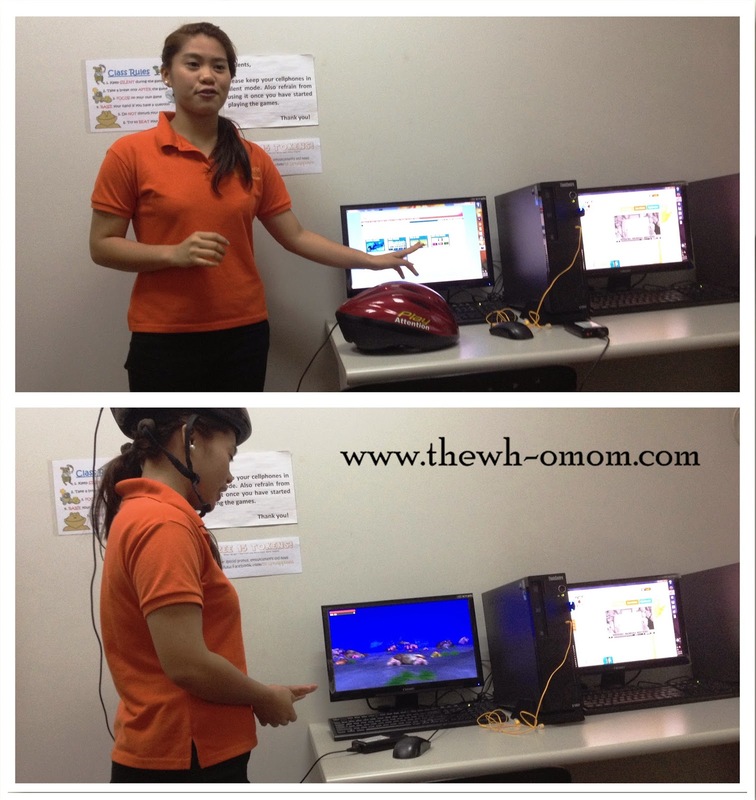 AUDITORY - Smart Listening™ uses patented technology to target rapid improvements in listening and language skills. ATTENTION - SMART Focus™ uses state-of-the-art neuro-feedback technology to effectively build key cognitive and attention skills for peak performance. EMOTIONS - SMART Emotions™ aims to build emotional intelligence in children aged 6 to 16 years old through proven methodologies. After the tour, Jeanette Yu Co discussed the advantages of BrainFit method and how important it is to strengthen our children's brain. What I did realize, with all my introductory questions above and after learning so much about our brain is that BrainFit focuses on the foundation needed for our kids to learn. Brain fitness training builds mental efficiency and when the brain is efficient, everything else follows. Great right? 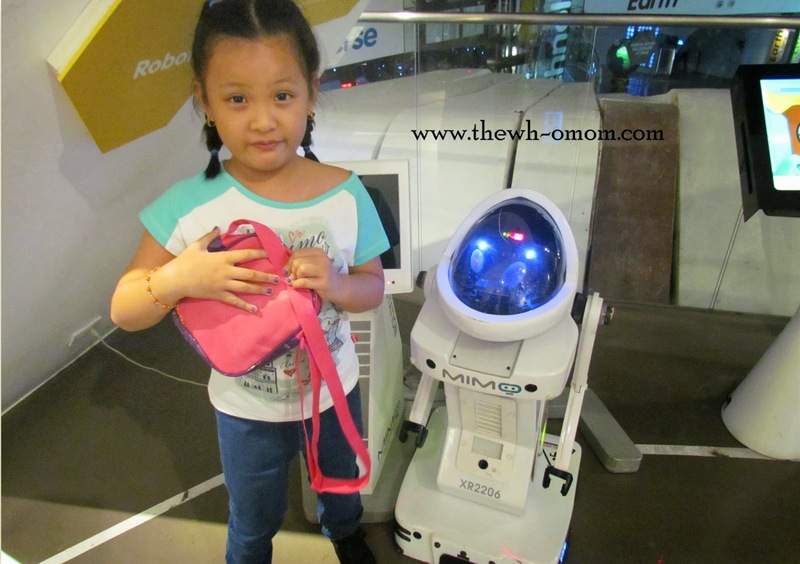 The SMART Programs are for children 4-18 years old. Contact BrainFit Studio for an appointment to assess if your child needs BrainFit methods. Also, there will be an open house in Makati on March 26-27 where you can avail of the Cognitive test for 50% off. Just call 8163273 for inquiries. 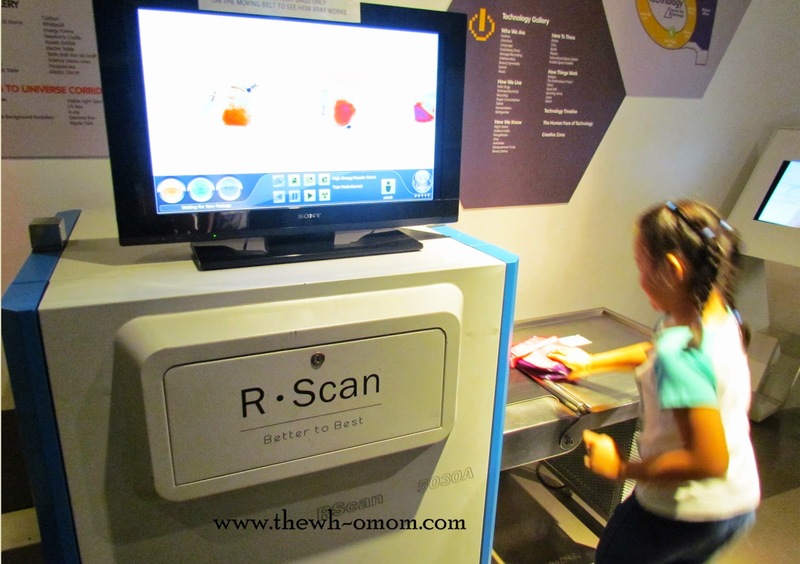 If you are looking for an exciting and different summer program for your kids, the Mind Museum has interesting programs this summer. There is also a Forensic Art workshop for the 18-25 age groups which will introduce the participants to methods like composite sketching and forensic photography that are used to aid with solving cases. It is both a full soccer game and a science workshop! A worldwide favorite, this sport will be understood through the lens of science. This program aims to help people see the many physics principles at play in a game and how knowledge of physics and science in general can help improve their performance. People who have no knowledge in football but are interested in science will also enjoy dissecting the forces that causes curve balls, the trajectories of long shots, and the anatomy of a skilled player. What is more is that they will work with a “secret” kind of ball with powers that we bet you have never known before! 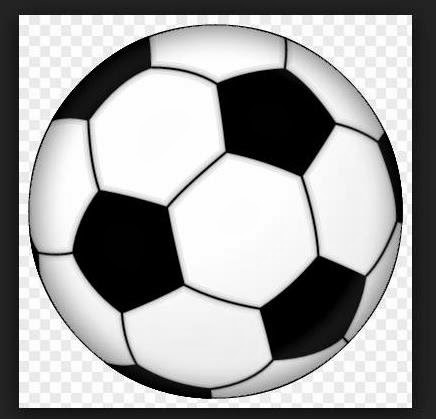 Understanding soccer can help you play better! Php 2,800/head. Inclusive of jersey bib, snacks, and use of facility fees. 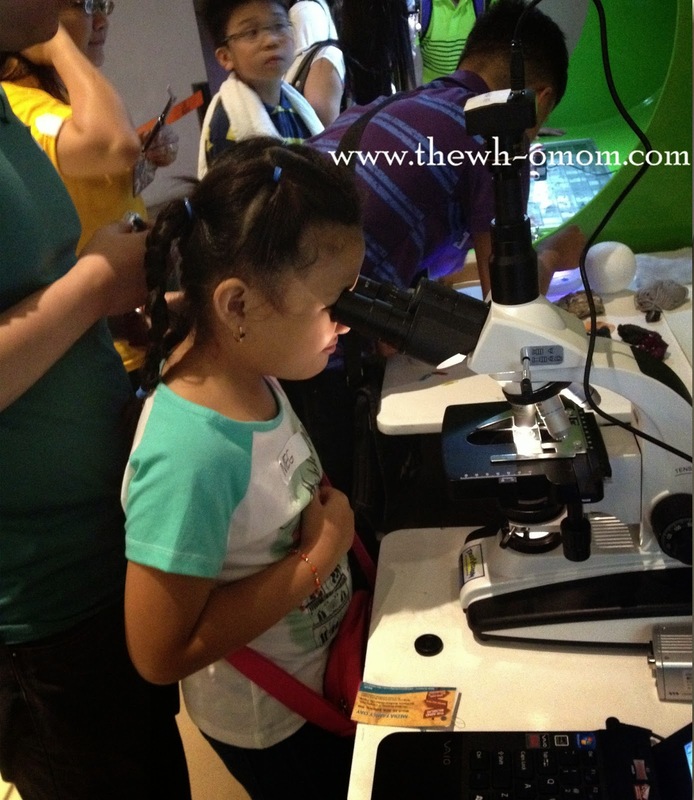 This is an outdoor adventure for families to create a deeper appreciation of the marine environment through science. 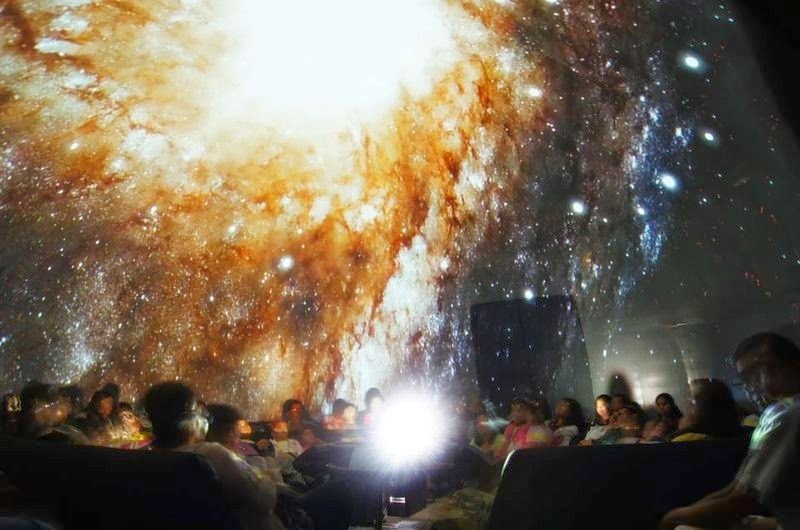 Participants get to know more about marine biodiversity & ecosystems, with an add-on astronomy/stargazing session at night! 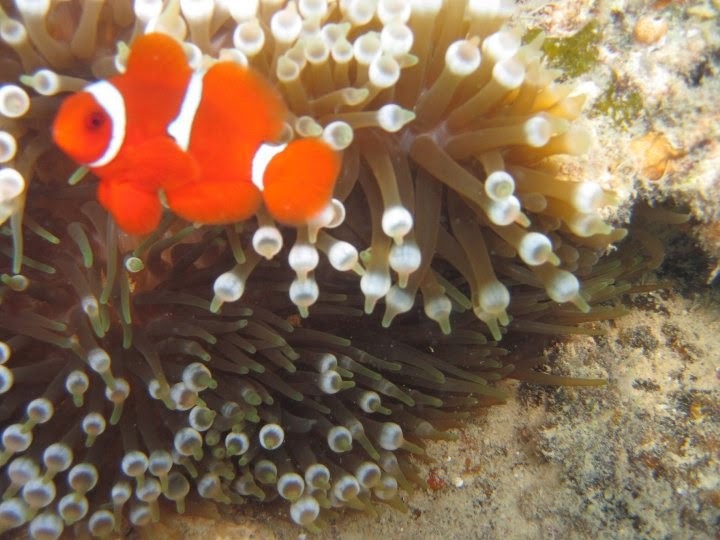 Together with our partner, the California Academy of Sciences who will be sharing their expedition stories as well as share marine observation tools, we will engage our participants as they learn responsible snorkelling and the basics on coral reef surveying. Take a dip and literally look into the ocean’s coral reefs!